Our barcode software for Mac OS X / macOS creates all common linear and area bar code symbologies. All barcode apps below run on Mac OS X 10.7 "Lion" or higher including the latest OS X version, "Sierra". Softmatic BarcodeFactory batch creates thousands of barcodes in seconds. Multiple barcodes with serial numbers, barcodes from CSV / TXT files, random codes for product keys and much more. For mass creation of cellphone barcodes for bulk emails, invitations, coupons etc. 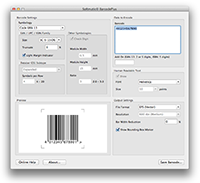 Also suitable for importing serial barcodes via data merge into Word, Excel or Adobe Indesign. Create all linear and 2D barcode types for retail (EAN/UPC), packaging (PZN, Code 128), books (ISBN, Bookland), warehousing (128 GS1) etc. Our best-selling barcode generator software for Mac OS X since 2004. 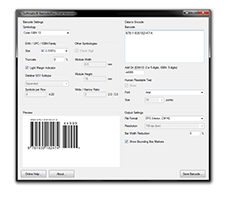 Creates all common linear retail, 2D and DataBar barcodes and exports to EPS/SVG and TIFF/PNG/JPEG. Use the barcodes in DTP, layout and design software, like Illustrator, Indesign, QuarkXPress, Corel Draw, Xara, Publisher etc. 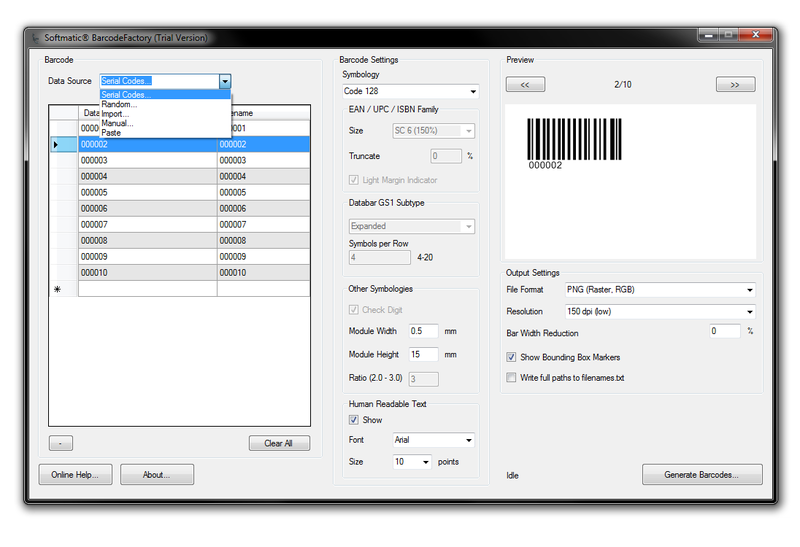 Our barcode generators for Windows PCs create all common retail, warehousing, and area bar code types. All barcode apps below run on Windows XP, Windows 7, Windows 8 and the new Windows 10. 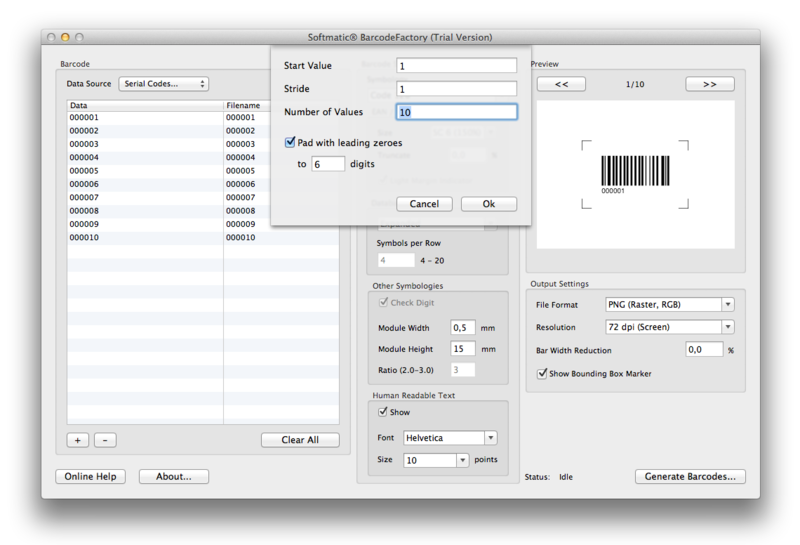 Softmatic BarcodeFactory for Windows 7, Windows 8 batch creates thousands of barcodes in seconds. Multiple barcodes with serial numbers, barcodes from CSV / TXT files, random codes for product keys and much more. For mass creation of cellphone barcodes for bulk emails, invitations, coupons etc. 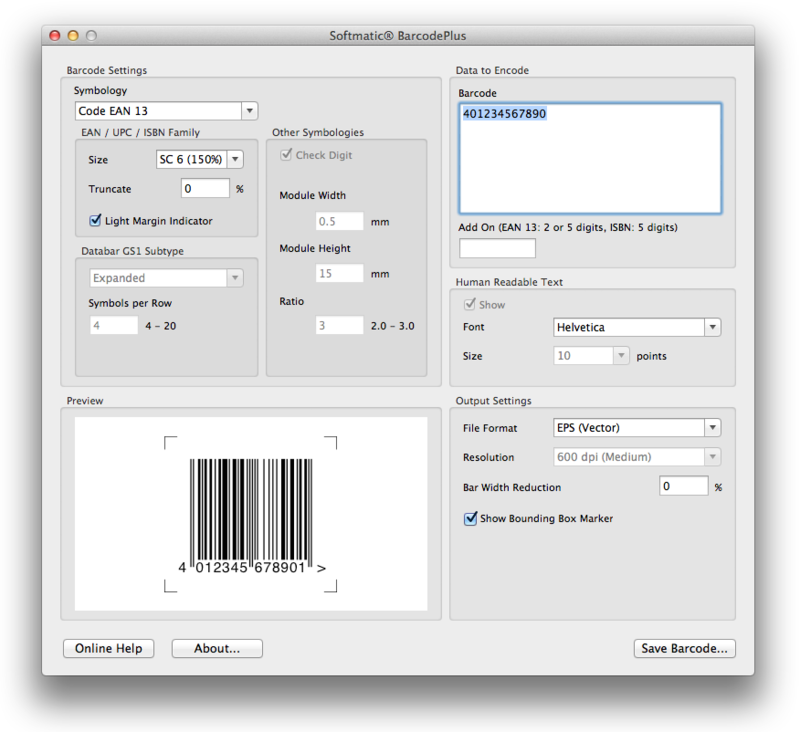 Also suitable for importing serial barcodes via data merge into Word, Excel or Adobe Indesign. All common linear and 2D codes for retail, pharma, warehousing. 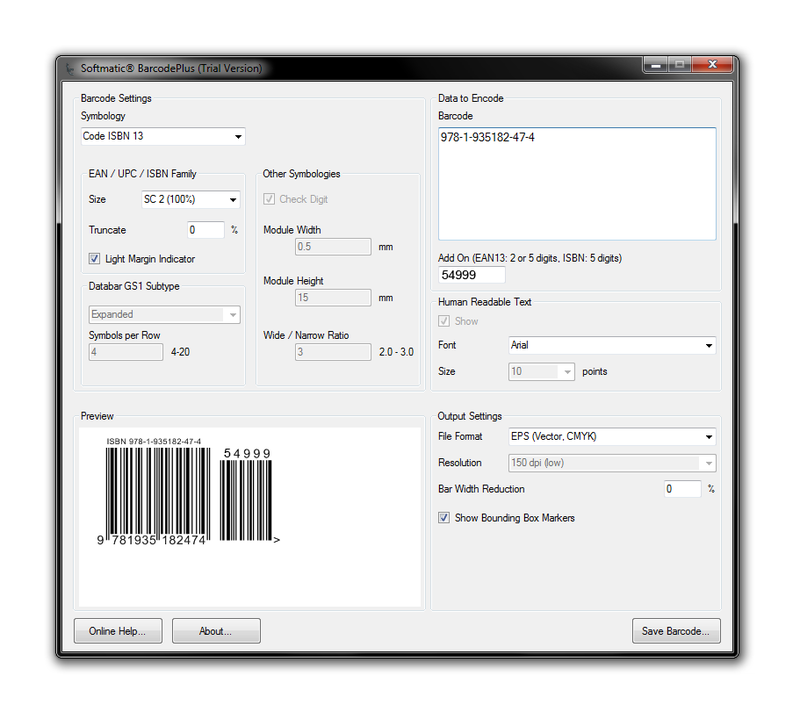 Our best-selling barcode generator software for Windows. Creates all common linear, 2D and DataBar barcodes in seconds. Export to vector EPS/SVG and raster TIFF/PNG and use the created codes in DTP, layout and design software. The ideal solution if you need barcodes for package design, coupons, pharmaceuticals, ads, book- and magazine covers. * Trial versions are fully functional and will create all supported code types. Output is restricted to low resolution files. We also provide a vast resource of barcode information, see our Barcode FAQ & Know How section.